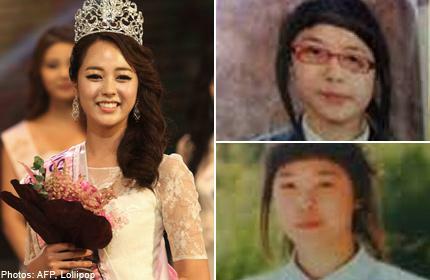 Yoo Ye-Bin (21) beat 54 other participants earlier this week to win the Miss Korea 2013 title. She stands 1.71m tall. Yoo was heavily criticized when old photos of her looking totally different before several surgeries emerged. Plastic surgery is extremely popular in South Korea. With the Miss Korea title, she also got the Miss Universe Korea 2014 title and will compete for the 2014 Miss Universe crown. Hyo-hee Kim (22) was the first runner-up and will compete at Miss Earth 2013. She stands 1.76m tall. Ji-eun Han (21) was also name first runner-up and will compete at Miss International 2013. She stands 1.72m tall. I still find her quite plain. The Miss Earth girl is also nothing to rejoice about but I like the Miss International girl.